Hailey police arrested a 19-year-old Hailey man on Monday for allegedly stealing fuel cards from Mountain Rides Transportation Authority buses and fraudulently using the cards for fuel purchases and car washes. 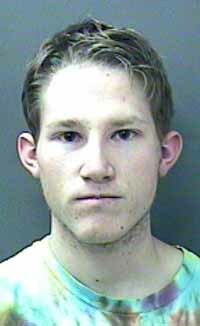 Hailey Police Chief Jeff Gunter said Tuesday that James Logan Kassner voluntarily surrendered to police Monday afternoon after police notified him that they had a warrant for his arrest. Gunter said Kassner was arrested on felony charges of burglary and criminal possession of a financial transaction card. Kassner remained incarcerated on $10,000 bond Tuesday morning in the Blaine County jail awaiting an initial court appearance later that day. Gunter said Kassner allegedly stole five fuel cards from buses parked at the Mountain Rides facility on Glenbrook Drive in south Hailey on several occasions in July. He allegedly used the cards 36 times, racking up total fraudulent charges of $616.24. Police began an investigation after Mountain Rides reported the illicit charges on Aug. 5. Gunter said Kassner was identified through video surveillance at the Splash & Dash in Bellevue and the Sun Valley Sinclair station. Kassner is currently on probation for illegally using his father's VISA card number to purchase more than $2,000 worth of computer equipment in 2010. He was originally charged with a felony in that case, but it was pleaded down to misdemeanor petit theft and Kassner was sentenced in March to 30 days in jail and ordered to pay restitution.